The SciVal Mokshagundam release is now live! You now have the option to filter out hyper-authored papers in the Collaboration module. Also, based upon your feedback, you can now evaluate and report on the collaboration between pre-defined groups in the Collaboration module. As part of the January Kepler release we introduced Topics for Researchers and Groups of Researcher. 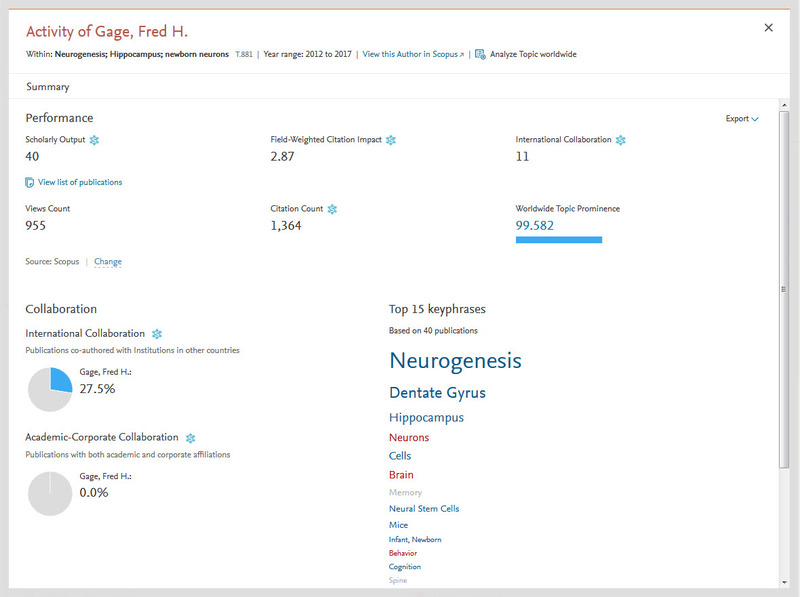 Researchers can now analyze their Topics in greater detail, to see their individual metrics such as FWCI, collaboration, views etc. (previously only available for Institutions, Countries and Worldwide). Wheel of Science shows the Topics, which John Smith is most active in, and allows you to analyze that Topic globally or specifically for that Researcher. 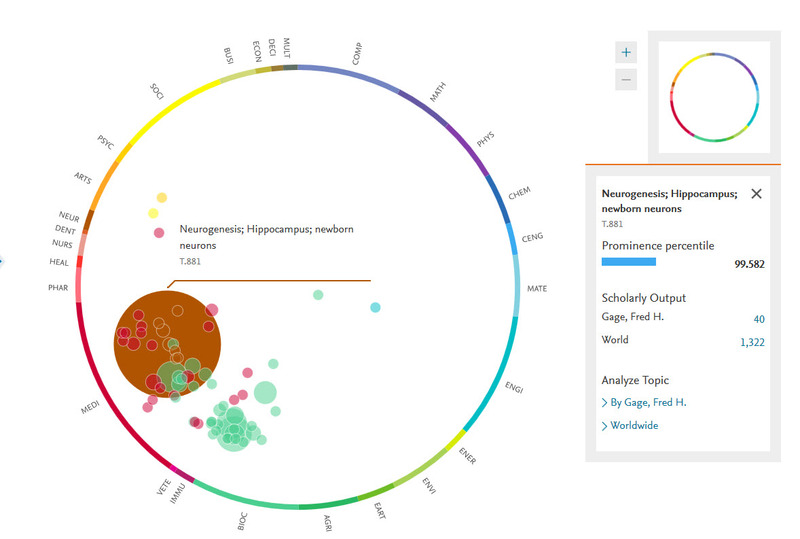 You can now analyze Topics for specific Researchers and see their performance relating to that Topic including Scholarly Output, FWCI, collaboration (both international and corporate) etc. You told us that publications with too many co-authors dilute the findings in the Collaboration module, as they do not qualify as “real” collaboration. After gathering feedback from many users, the 3 co-author thresholds of 10, 50 and 100 authors were identified as being the most relevant. In this release, you can now filter on author numbers in the Collaboration module, which will then affect the results in both the Map and Table views. By excluding hyper-authored papers form your analysis of Potential Collaborator, it will affect and be reflected in the map and table views. 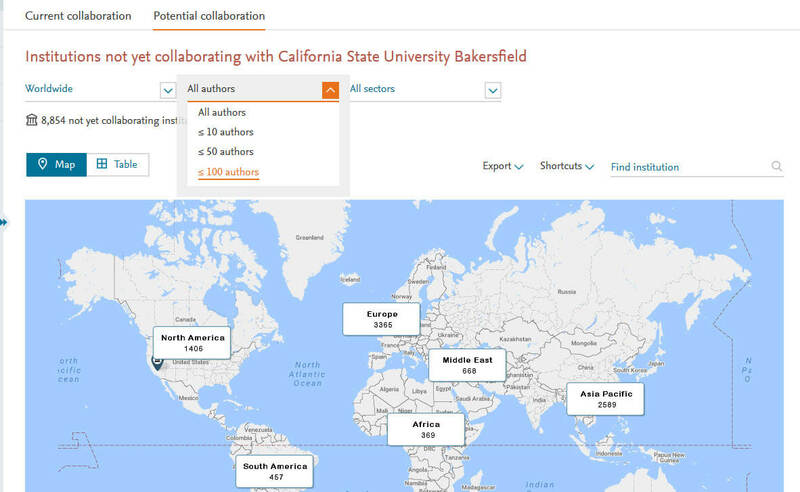 Pre-defined groups of institutions, such as regional (California, Berlin etc) or academic (Ivy League, Russell Group, Rosatom) can now be viewed in the Collaboration module to see the impact of their work together.